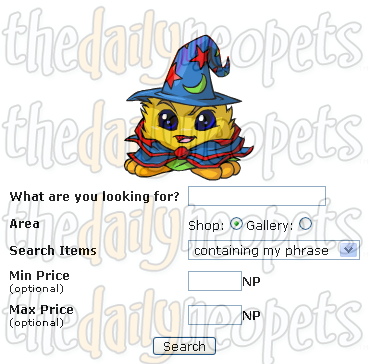 The Shop Wizard is a search engine that will allow you to search items that are available in Neopians shops or galleries. 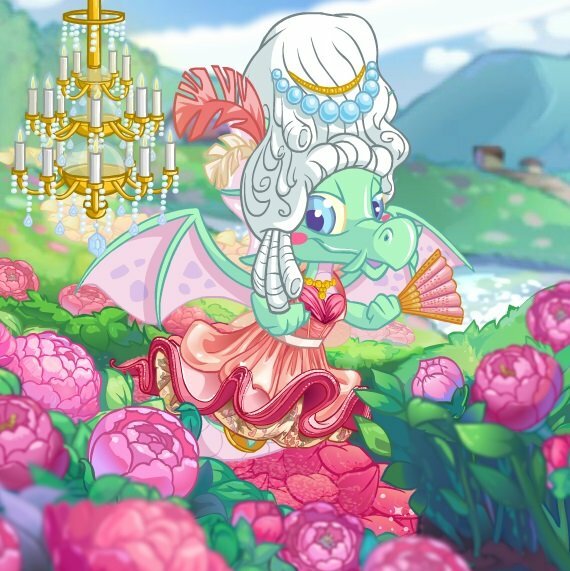 You can access it by visiting Neopia Central or selecting it in the drop down menu under the shops section. Besides helping you to decide how much you should sell your items for, the Shop Wizard can be used to buy items from other users. 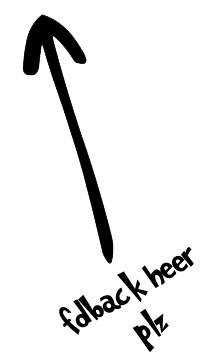 Enter the exact or the partial name of the item you are looking for and click on the search button. Keep in mind that only items that are priced at or under 99,999 Neopoints are buyable through the Shop Wizard. Every time you search for an item, the Shop Wizard will show you the results taken from one of these sections. In other words, it means that usernames starting with A, N or 0 are grouped together and will show on the same result page. This information can be used strategically to make more profit in your shop because you can price your items to be the cheapest of your group. To see a different section of the market, all you have to do is to refresh the result page. Sometimes, you can be banned from the Shop Wizard. It happens when you search and re-search too much during the same hour. In these case, you cannot use the Shop Wizard until next hour starts. The Shop Wizard is a friendly tool to buy all the items you need that cost 99,999 NP or less. Take advantage of this tool to get items at the best cost possible, or to price your goods. Happy shopping!